Just a short walk from the Hotel Monaco Seattle, tourists line up to see fishmongers hurdle fish through the air at the Pike Place Market—but who needs that when you can get your fish through room service? At the Kimpton Hotel’s property, ordering up a pet goldfish is just one of the fun, whimsical offerings on tap. The luxury boutique hotel had a full renovation in 2012, and its shiny newness makes for a clean, high-end, and visually rich setting. 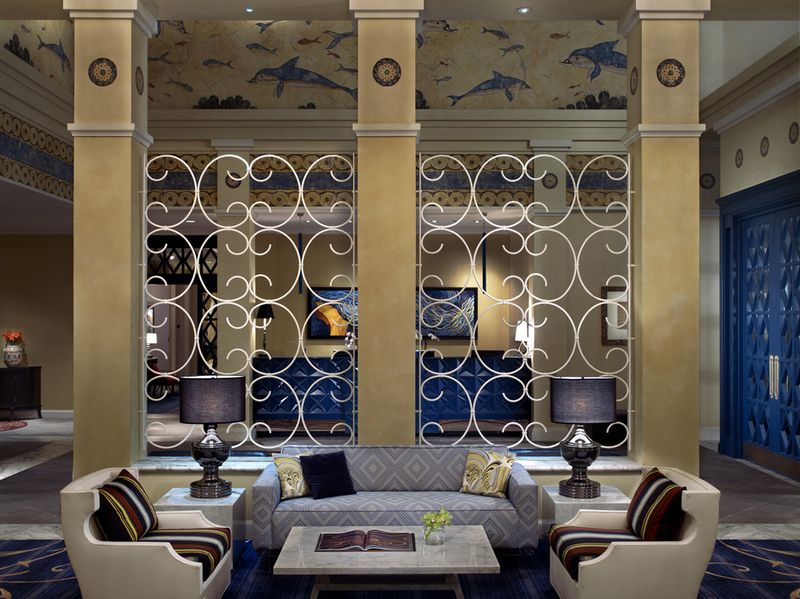 In the lobby, chandeliers drip crystals and blue dolphins swim in Roman-style frescoes on the walls. A chilled array of fruit-flavored waters await near the check-in desk, and by the elevators a homey bulletin board holds post-it notes with recommendations on what to see and do in Seattle. 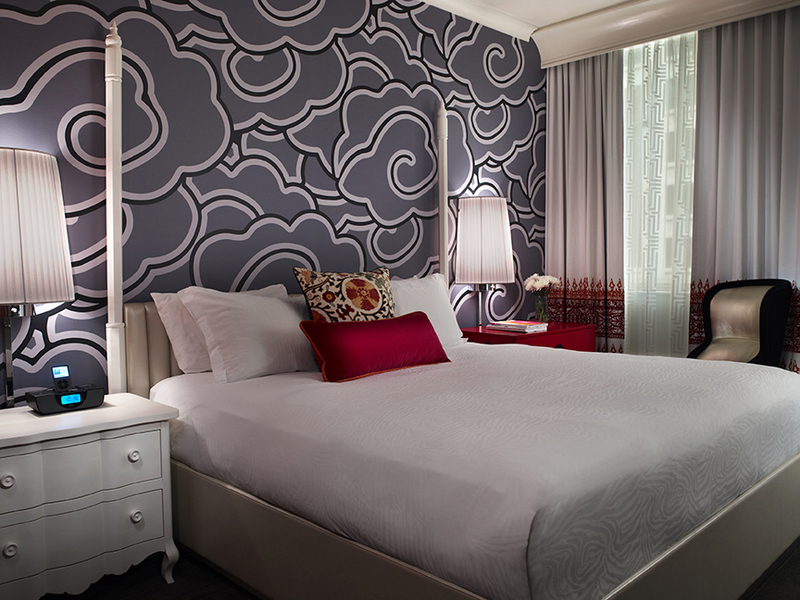 In the 189 guest rooms, walls are decked with playfully patterned wallpaper, bright pillows are tossed on the bed, and plush window seats look out onto the Emerald City below. If you’re missing your pet, take advantage of the aforementioned amenity and order up a goldfish—the service staff will be at your door carrying a fishbowl and a fish with a nametag in no time (for the record, our fish was named Clancy.) The fish is free, and will stay in your room for the duration of your stay. Other fun perks include a yoga mat and props in each room, and if you request the “roll-out” service the staff can get your room all set up for sun salutations while you explore the town. P.S: if you want to explore on wheels, ask about the complimentary bike rentals at the front desk. For more information on the Hotel Monaco Seattle, please visit Monaco-Seattle.com.